I offer 4 different types of acupuncture: Traditional Chinese Medicine (TCM) acupuncture, Medical Acupuncture, Cosmetic acupuncture and Fine Needle Lifting Technique. This is an ancient form of treatment from China. It uses the principles of Eastern medicine to create an energetic adjustment encouraging the body to heal. For more information and a treatment schedule visit the acupuncture program page. This the Western form of acupuncture. This is where needles are inserted into different muscles and trigger points to cause the affected structure to relax. Tight, stiff muscles cause pain, and structural alterations to your spine. Medical acupuncture forces the muscles to lengthen and release painlessly. 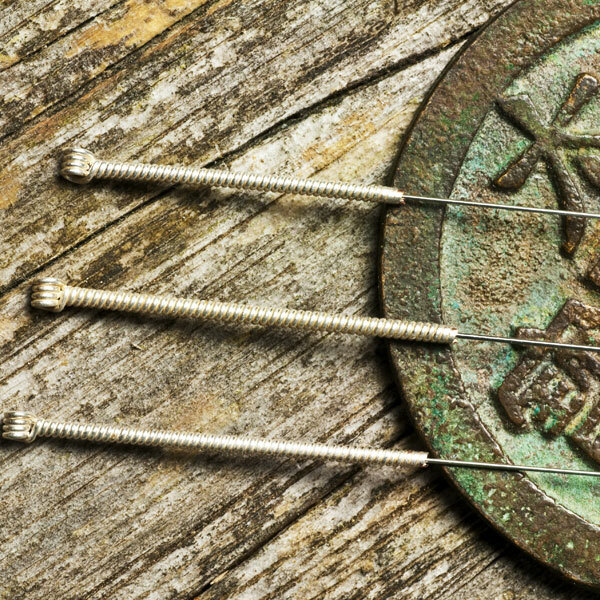 Electrotherapy is typically combined with medical acupuncture to see lasting results. Needles are also inserted into joint spaces for arthritis treatment. Joints find it hard to get nutrients from the body. Acupuncture forces the body to send nutrients to the joints to promote healing. Medical acupuncture is used in my Sports Medicine Program and Pain Management Program. This is very like TCM acupuncture. Both types of acupuncture come from China. Cosmetic acupuncture is more concentrated on the face and neck. The treatments take an hour, and will gradually change the appearance of wrinkles, acne, scars, crow’s feet, and deep nasolabial lines. Like TCM there is an energetic shift and flood of nutrients and energy from your body. The increased blood flow that happens during a treatment diminishes the unwanted fine lines and scars, while preventing new ones from forming. There are many different techniques that were developed with cosmetic acupuncture; Energetic Face lifts, eyebrow lifts, and a chin lift. Promoting the body’s energy over time to adapt to the position the needles are directing them. This is a non-invasive treatment with great results. There is no down time after a treatment. This type of treatment can be used with Botox and dermal fillers to prolong their results. Botox treatments will last for a year when combined with cosmetic acupuncture. Acne is a hard condition to treat. There are many factors that can cause it. Cosmetic acupuncture is a proven way to clear up your acne, no matter the cause. It will reduce the appearance and depth of acne scars. New blemishes will stop forming, and your skin will glow. You can use cosmetic acupuncture in conjunction with topical acne products without over drying your skin. You will wonder why you didn’t try this earlier. This type of acupuncture was developed by a plastic surgeon who became a Naturopathic Doctor. He was looking for a way to get similar results to plastic surgery with acupuncture. After years of developing this method he perfected it. FNLT has dramatic and lasting results. This type of acupuncture uses a lot of needles to promote inflammation in a localized area to lift areas of your face. It enhances cheek bones, removes chin jowls, lifts the eye brows, and fills in deep set wrinkles and crow’s feet. Fine needle Lifting technique can also preform a version of Rhinoplasty (nose job). There is no down time and it gradually changes the shape of your nose. After a few sessions you will not believe the results you can achieve.